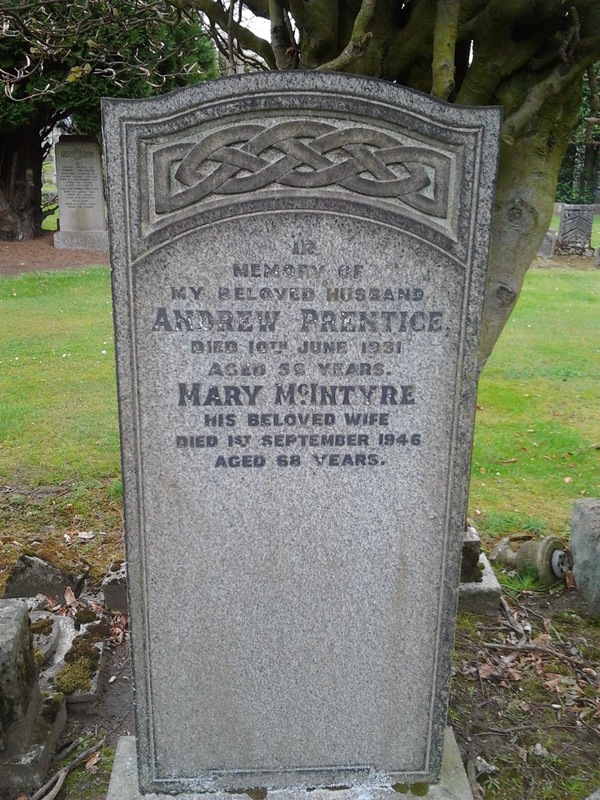 Andrew grew up on the 'Shire's home patch, his mother was in the employ of the Merchiston Hall Gardens [roughly somewhere on the grounds of St Mungo's Secondary School], and this is where the family are listed in the 1881 census. However he played his juvenile football for Falkirk sides and this is where Falkirk got most of their young locals, but upon progressing to junior football he moved definitively into the East Stirlingshire sphere of influence. He joined Vale of Carron who were based in Carron. True they were a very successful junior team in their own right, but most importantly it was virtually East stirlingshire's nursery club. The two teams had a very close bond, Vale played their home matches at Merchiston Park whenever it was available [in the same way Falkirk had relations with Falkirk Exselsior & Falkirk Hawthorn and later Falkirk Juniors]. Of course, Andrew might have been a Zebra himself, or perhaps he had just been looking at the results and the Silverware won by the two clubs and decided on which side his bread would best be buttered. There is no getting away from the fact that until Falkirk's promotion to Division 1 in 1905 East Stirlingshire were seen as by far the bigger & more successful club in the District. But strangely enough, before Andrew became a regular down Bainsford way he actually made his debut in senior club football for Falkirk FC, he only played the once in a friendly at Stenhousemuir. Perhaps he was giving Falkirk a trial than the other way around, if he was, then Falkirk failed miserably. Falkirk were going through they all too common reorganisations on-field [trying to replace players pilfered by bigger clubs by local juniors] an quite simply the side Falkirk put out on that Monday Afternoon in Stenhousemuir were cuffed. It is a hideous sight to this day - Stenhousemuir 8 Falkirk 2. It is no surprise he soon signed pro forms with East Stirlingshire, and stayed with them for nearly a decade, probably never looking back. Last laugh to Falkirk though, a couple of seasons later Falkirk 'pinched' "Punkie" Reid from the Vale a couple of season's later, but more on him another time.